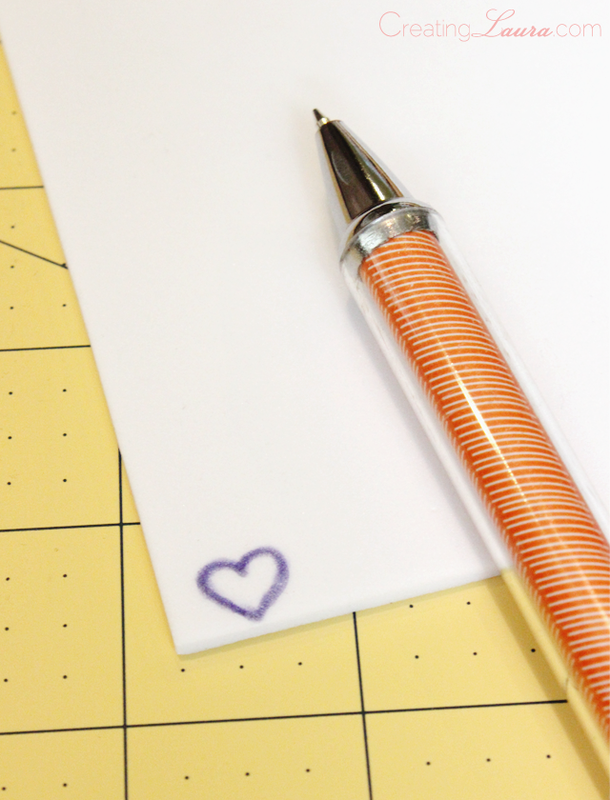 I made an itty bitty heart stamp today, and I liked it so much that I made a triangle stamp to go along with it. It all started when I was browsing the stamp aisle at the craft store today (which is a totally normal activity for a Wednesday morning, right?) and I thought to myself: it's way too easy to spend way too much money in this aisle. So I forced myself to walk away. 1. Start by drawing a little shape on the foam sheet. 2. Cut out the shape. 3. 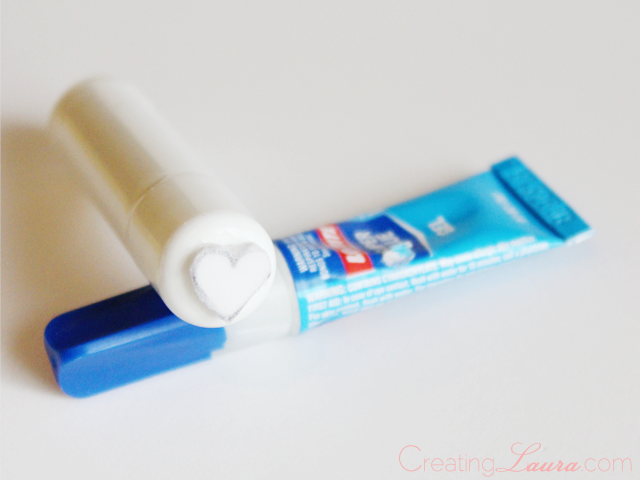 Peel the wrapping off of an old tube of chapstick (for aesthetic reasons), use some scissors or a metal file to rough up the top of the tube (for legitimate glue-sticking reasons), then glue the little foam shape to the top of the tube. 5. 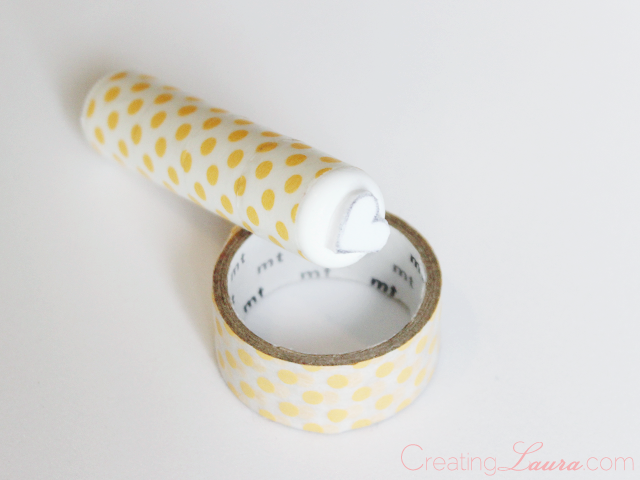 Cover the tube with washi tape so it'll look pretty, and also so the lid won't come off. Ta da! Project complete. And it seriously takes five minutes. I tried out my new stamp with some pink fabric paint and almost immediately spilled a large blob of it onto the shirt I was wearing. Oops. But that totally wasn't the stamp's fault. 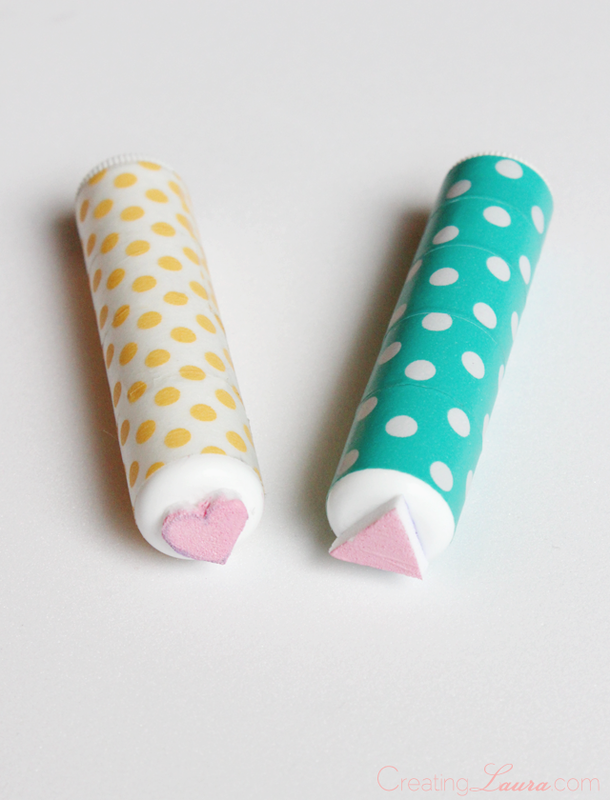 Once I gave up on getting the pink paint off my shirt, I made a triangle stamp to go with the heart stamp. I'm also thinking about making one with a skinny line so I could make chevron designs with it. Oh, and an arrow stamp would be cool too! There are just so many possibilities, and I've only used about 2% of my foam sheet so far. Are you a stamper? 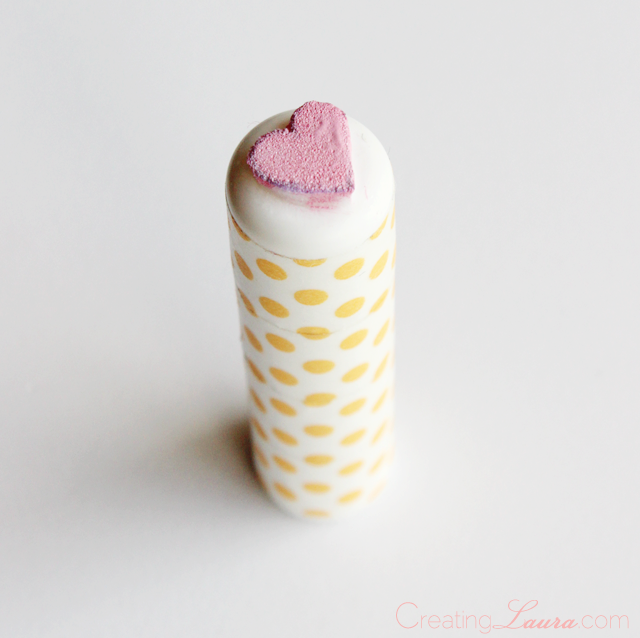 Do you ever make your own stamps too? I was JUST thinking about stamping today...so crazy haha. 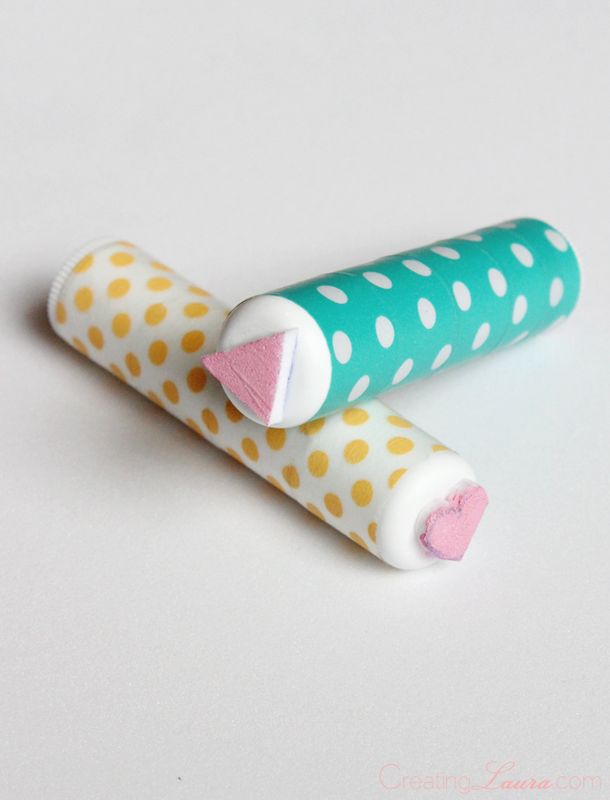 What an easy way to make a cute fabric pattern. Thanks for sharing!